DO I NEED AN ECG? Did you know that all of our GP surgeries are fully equipped with ECG machines? This means that our experienced private doctors can perform a full cardiac work-up on patients then and there – no referral, no delay! Simply book an appointment, attend and walk away with your ECG reading, a doctor’s interpretation and advice regarding these. An electrocardiogram (ECG) is a test that measures the electrical activity of the heart and heart rhythm. It does not involve electricity entering the body (a very common concern!). While performing an ECG, a number of sensors (electrodes) are attached to your chest, arms and legs and information about the heart is recorded on an ECG machine. This information is displayed, either on a screen or on paper, as a graph and is interpreted by your GP or a heart specialist. ECGs are used to help identify a number of problems with the heart including irregular heart beats and insufficient blood supply, which can cause heart disease. The beating of your heart involves lots of small electrical events that can be measured using sensors (electrodes). These electrodes are small, sticky pads that are placed on the skin of the arms, legs and chest, as mentioned above. When they are in place, a machine records the electrical activity from the heart that is present on the skin, and these signals are then looked at by a GP or heart specialist. 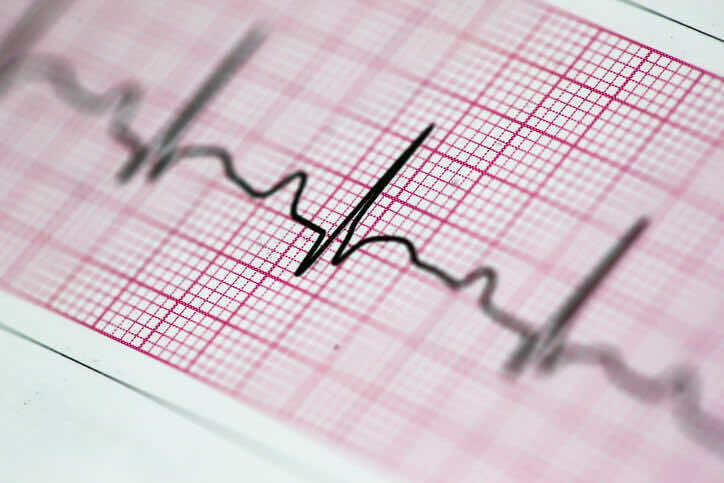 An ECG might also be performed if a person has a family history of heart disease, or if he or she has risk factors for heart disease, including high blood pressure, high cholesterol, diabetes, obesity, or if he or she smokes. What Happens When You Have An ECG? Usually, an ECG will be performed in a hospital or clinic, although it can sometimes be done at a GP surgery (such as at LDC!). You will lie on a bed, and ten small, sticky sensors are attached to your arms, legs and chest, which are linked to an ECG recording machine. You will usually have to remove your upper clothing so these sensors can be attached, and sometimes parts of your chest will have to be shaved (depending if/ how hairy it is!) so they stick on properly. Once the sensors are on, the ECG machine will record heart activity for a few minutes. After this, you can normally return home soon afterwards. Multiple ECGs are sometimes taken over time to monitor people already diagnosed with a heart condition, or in people whose medication can lead to heart problems. This is carried out while lying down, and usually takes five to ten minutes. This looks at resting heart function. This is carried out when running on a treadmill or cycling a stationary bicycle for 15 to 30 minutes. This assesses how the heart responds when it has to pump more blood around the body. As the name suggests, a stress or exercise ECG is carried out when a person is exercising! This involves sensors connected to a portable machine, so the heart can be monitored while you’re at home, usually over a few days. This type of ECG is used in people who have intermittent symptoms that may not appear during a resting ECG. This is also sometimes known as a ‘Holter Monitor‘. The ECG machine records results and presents them as a graph. These can usually be interpreted by all doctors – including our GPs at LDC – but in some cases, results may require a specialist review. Sometimes, further tests are required such as a chest X-ray, an ultrasound of the heart (echocardiogram), blood tests or certain types of scans (MRI). An ECG carries minimal risk – it is quick, safe, non-invasive and painless. Some slight discomfort may be felt when removing the sensors (just like removing a plaster! ), and some people develop a mild rash where the sensors were placed. An exercise ECG can cause some stress upon the heart, which can result in pain, an irregular heart beat or a heart attack in some cases, but you are carefully monitored throughout and the tests can be stopped if you feel unwell. So for anyone concerned about their heart health, a GP assessment is the first step to take! Of course, in an emergency situation (for example, if you are experiencing chest pain) A&E might be the most appropriate setting to seek medical advice. Still, other heart-related symptoms (such as dizziness or palpitations) can be investigated routinely by a thorough GP assessment. During a 30-minute heart health appointment, we can perform a full assessment including an ECG, various blood tests, as well as a full cardiovascular examination. Should our doctors have any concerns, or should any findings warrant further investigation, we can refer you to a private cardiologist as soon as possible. With future and same day doctor appointments available 7 days a week, we’re always here for you if you need to find a GP. Simply book into your closest London clinic!